Just a few hours drive from the Netherlands you can find the city of Lille. This is one of the most amazing undiscovered cities within driving distance of the Netherlands. Many people know the city only from the road when they are on their way to their holiday in France. Yet it is more than worthwhile to take the exit to Lille. The city was founded in the eleventh century on the river Deule. For a long time the city was a part of the county of Flanders only to be taken by French troops. After all these centuries it is still very noticeable the city used to belong to Flanders. For example the city celebrates Sinterklaas and the kitchen seems more like the Flemish than the French. In the second half of the twentieth century there was a lot of poverty and unemployment, and the city was in poor condition. The city was gradually restored. This refurbishment was rewarded: in 2004, Lille was the European Capital of Culture. Lille is perhaps a lesser known destination for vacation, but when you realize what the city has to offer, you will find that this is completely unjustified. Lille is mainly a popular destination for shopping. In the city you can find hundreds of stores. You will find larger retail chains, special vintage shops, and small boutiques. Like many cities in Belgium Lille also has a Dutch and a French name. The Flemish-speaking Belgians will have in almost all cases Lille while the Walloons call it Lille. In the Netherlands, both names are used interchangeably, but the name Lille is increasingly beginning to gain popularity. The original Latin name of the city was indeed Ad Insulam which means on the island. Later it was translated into French as à l’isle what would later become Lille. To many people and travel guides Lille is also known as the Paris of the North. This nickname is explained because in Lille as in Paris you find some major avenues and find some big beautiful museums. 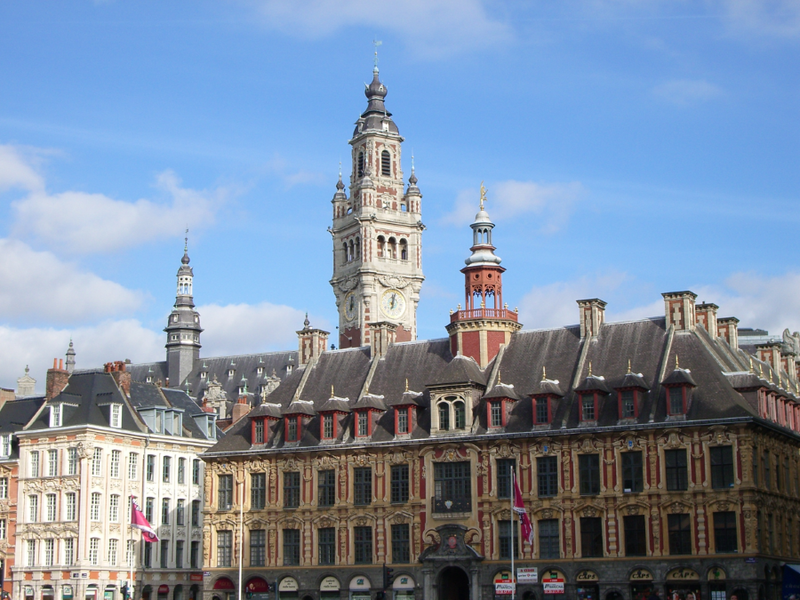 If you visit Lille then feel everything that the city has always belonged to Flanders. As in Flanders, the people here drink beer, preferably special beer and to a much lesser extent is wine drunk here. Museums and other attractions in the city are written in Dutch as well which is highly unusual for a city in France. Lille offers many different accommodation options. Whether you want to sleep in an expensive newly designed hotel or at a cheaper hostel, it is all possible. Most hotels are located in or near the historic center. Also in the new Euralille are some wonderful new hotels, although in this district are mainly business hotels. The advantage is that they are often cheaper on weekends than the hotels in the historic center. In most cases there is a possibility of a good price-quality ratio. One of the best hotels for price and quality is the Grand Hotel Bellevue Grand Place and the Suite Novotel in Euralille. Lille has a lot shopping with cozy little streets, some large pedestrianized shopping streets, and a large indoor shopping center. In short, if you can not find it in Lille, then the chances are small that will find it elsewhere. In the large pedestrianized streets such as Reu the Tanneurs, the Reu Neuve, the Reu Reu de Bethune, and the Sec Arembault are mainly the larger chain stores. In the older part of the city, as in the Leppelletier Reu Reu, the Comtesse, and the other smaller shopping streets in this district you will find exclusive boutiques and brands. You can also visit the indoor shopping center in Euralille. Spread over several floors you will find a total of about 120 different shops and restaurants. The people of Lille are a nice cross between French and Flemish. Most restaurants and eating habits are too. For example, most restaurants have a French cuisine, but there is still a Flemish touch. Food such as pot roast, especially beer and fries, are very popular. Divided into different neighborhoods and streets in the town you will come across pretty little squares with terraces, cafes, and restaurants to dine at. The price and quality varies greatly in terms of area and sometimes even from the street. For every taste and every price level, there are plenty of options in Lille. Lille is a beautiful city with many historical monuments and a quite extensive and vast shopping center. If you’re visiting Lille then there are a number of places and buildings that you absolutely must see. Visit the Old Stock Exchange on the Grand’Place, do so preferably in the afternoon, because the market is open in the courtyard. Try to schedule a visit to the Palais des Beaux Arts. This museum is known for its impressive art collection. According to experts, this collection after that of the Louvre, is the most valuable of France. However if you have no time for it all, go walking in the city and be amazed by the grandeur of the ancient city. Especially in the district of Vieux Lille. In the summer months, the city park at the citadel with its zoo is a must. In Lille there are many walking trails and tours. Find maps free at the tourist office on Place de Rihour. These different walks are somewhere between two and four miles long. During these different walks you pass the main sights and museums of the city. You not only get past the famous attractions of the city, in some cases, you also get the undiscovered treasures of the city against. In particular, a stroll around the university area of ​​Lille is really nice and surprising. For many people Lille no more than a name on a road sign that they pass when they go on holiday to France. This is unfortunate because the city has so much to offer. Many of the old buildings and attractions have received a thorough makeover in recent years and abandoned buildings have received new and beautiful makeover. Posted in All over the world and Tagged Grand'Place, Historical city, Jessica, Lilli, Museum, Palais, samy.blue.